I spent most part of this weekend feeling sleep deprived. And oh how I wished it was due to a night out on the tiles, getting somewhat merry to the wee hours. Then I wouldn’t have minded sluggishly pulling myself through the next day with a slight nervous twitch in my left eye! No it was due to a big fly! Although it wasn’t big by Jeff Goldblum standards, it was big enough to make a loud enough buzz that I couldn’t sleep, which prompted me out of my bed trying to coax it out through the window, or catch it in a glass. After the forth effort back and forth from my bed and realising that the fly did not leave graciously through the window. I turned into a large version of Scrappy Doo, slapping wildly around my bedroom with a slipper and muttering get out or die! Remember I was extremely tired! 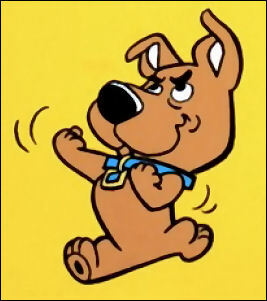 1) Turning into Scrappy Doo it never a good look! 2) Don’t leave your window open all day when it is summer! 3) Invest in some fly paper! I am sure these are valuable lessons for you all to take you through the rest of this week? I had forgotten to post these pictures from the other week. It was my cousins son’s 10th birthday the other day (I think that’s makes him my 2nd cousin? 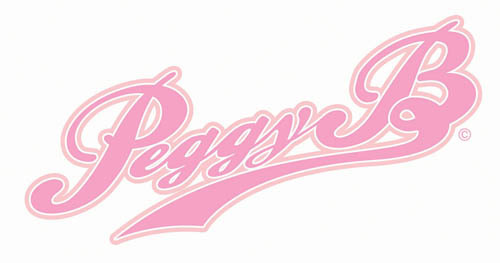 I get lost after the first.) The brief was an iced cake with jelly snakes on it; to be honest I don’t think the cake was that important as long as it had the jelly snakes on it, as that is was what I could hear him repeatedly shouting in the background while I was on the phone to his mother. This was a short notice request and my brain was running overtime with ideas on how I wanted the cake to look. Remember, the brief was simple so I don’t know why I was running my brain overtime? (I just like to give myself hard work!) In the end I opted for a fruit cake and I wanted to have the snakes curling around and on the cake in a crazed fashion, however my edible glue that I needed to stick them down with did not arrive until two days after the cake was required. So I think the snakes look like they are on the cake in a lazy fashion, oh well, I still think it looks cute! Personally I thought I had enough reasons to eat chips, they’re tasty, they come in many shapes and sizes, fat, thin, curly, smiley faces! The invention of onion vinegar! And you can eat them with an array of condiments. Now, I love my condiments especially salad cream (I may write a post about this at a later date) so while cruising the aisle of a major chain supermarket the other day I noticed these. 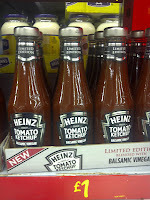 Heinz Tomato Ketchup blended with balsamic vinegar and HP Guinness sauce. 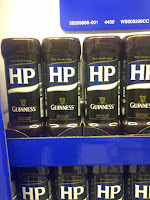 I am sure some of you may be contorting your faces at the thought of Guinness on your chips; although I haven’t tried this yet, don’t knock it. As I make a cupcake cake with Guinness and that taste pretty good. So with my evenings dinner already planned, having Ketchup and HP sauce on it may have lower the tone of the meal to those I would be eating with. 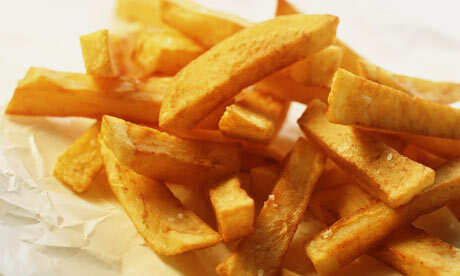 And scrapping my evening meal for a portion of chips wouldn’t go down too well, so I have yet to try these. I think a fish and chip supper is due very soon! I really enjoyed all the outdoor activities, the food stalls , the refurbished double decker buses and the vintage market you had to get to in a hidden part of the Southbank over a small foot bridge, it made it feel like a secret hide away full of treasures. I felt slightly disappointed when I went inside for the events in the Royal Festival Hall, although this had craft workshops, makeovers and a retro living room to listen to music. I felt the vintage retro feel was slightly lost. I had meet an old friend while I was there and they said the same thing, as they went to the one at Goodwood and they I felt they were completely transported back in time at that event. However over all it was a good day and I will definitely go again next year!